Based in New South Wales (NSW), Australia, the client is a pet lover and owns an animal shelter in Sydney. A champion for animal welfare causes, the client liaisons with various animal welfare organizations in NSW and South Australia. The client had collated 5000+ pet images, during the last few months and required illustrations for the same. The client wanted to offshore this requirement to a design company in India to save on costs. O2Is Business Development Managers suggested a free quality test (trial) on receiving the client's inquiry. The client consented to the trial and sent O2I five pet images in a JPEG format via email. O2I assigned one full-time illustrator to complete the illustrations using Adobe Illustrator software. The resource completed the illustrations within one business day. Two business days was a short time period to train and allocate two full-time designers. 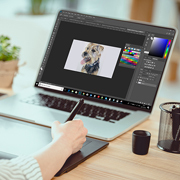 The client expressed satisfaction at the quality of the illustrations and signed a full-time ongoing contract to outsource fifty illustrations a day. O2I assigned three full-time illustrators to complete the project (fifty illustrations per day). On the completion of one month of partnership with O2I, the client sent us an email, commenting on the quality of our illustrations, and quick deliveries. During a telephonic conversation, the client also mentioned they were pleased with a 70 percent cost savings as compared to local expertise availed for previous projects. Outsource2india offers an array of outsourcing services from India including Creative, Data Management, Translation, Financial, Knowledge Process Outsourcing services and more. For a competitive edge, in any industry vertical, contact us, tell us your requirement and get a free quote within one business day.